Berlin was first mentioned in the 13th century as a crossroad of two major trade routes. 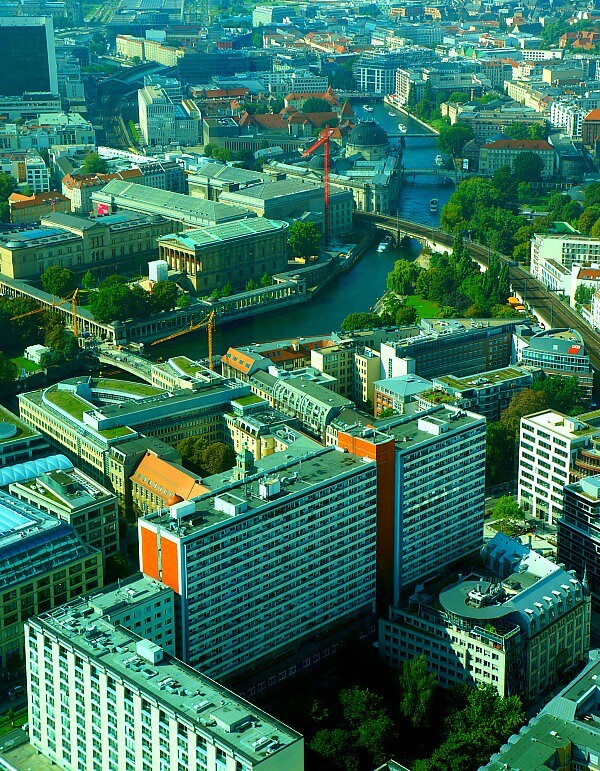 The German capital is rich in recent history having figured heavily in the last 100 years. First with the Nazi occupation and WW2 then later on with the fall of communism in Europe .The city was divided into two parts during the Cold War and you can see the differences in architecture and city planning styles that the west and the soviets employed. Berlin Germany is unique that one-third of the city is made up of forests, parks, gardens, rivers and lakes. Today Berlin is a hip and vibrant city that all seem to want to experience. Art galleries, museums, festivals, and nightlife is what makes the German capital popular today. We have visited Berlin on two occasions. It is the one city I truly walked away from thinking I have only really scratched the surface. I think this is true weather you spend 48 hours in Berlin or 4 weeks. We loved Berlin ,one day we will get back there again. We hope you find our top 5 things not to miss in Berlin of interest. The 200 meter TV Tower was built in the 1960’s by the communist government of East Germany. The sphere at the top of the TV Tower was designed to remind people of the Soviet satellites. The sphere was adorned with red lights, the colour of socialism. I strongly suggest booking your tickets online to avoid the wait. Why wait, Skip the Line: Berlin TV Tower Ticket. For current pricing and bookings click HERE. One good thing is that when you buy your tickets they give you an entry time. This allows you to go away for an amount of time and then come back for your entry. You can stay up the top of the tower for as long as you would like. There are restaurants and bar facilities at the top of the tower and I really enjoyed having a beer at 202 meters above the ground! The view from the top of the tower is amazing, giving you a 360-degree view of the German capital. Access is via the Alexanderplatz U-Bahn station. Where do we stay in Berlin? When in Berlin we stay at Ibis Styles Alexanderplatz. Comfortable rooms for the whole family, amazing breakfast, public transport options to the whole city, close to shops and restaurants. You can go past this location.The Fernsehturm Tower and the Alexa Shopping Centre can be reached in less than 8 minutes on foot. Family Travel Tip: Prams are not permitted to be bought into the tower because of evacuation issue’s. The DDR museum is a throwback to the days of the Cold War. Experience what East Germany was like in the days when the wall dominated the landscape of the divided capital of Berlin Germany. The DDR museum is the most visited museum in Berlin. Over 500,000 people visit this museum every year. 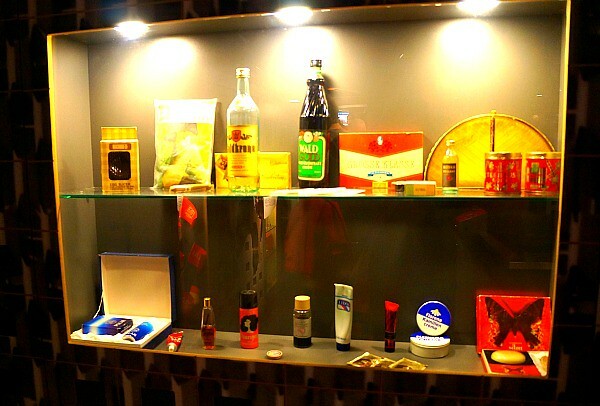 The DDR museum has been twice nominated as the Europen museum of the year. It is a highly interactive museum showcasing living under the Iron Curtain. We can tell you the Berlin Welcome card is great value with discount attractions and FREE PUBLIC TRANSPORT. The Berlin Welcome Card, available in 48-hour, 72-hour, 4-day, 5-day, or 6-day options, offers a great, cost-effective means to explore the city in-depth. Take public transport in the AB or ABC zones and receive exclusive 25-50% rebates with over 200 participating partners. For latest prices and bookings click HERE. The museum requires you to open cupboards, pull out draws push buttons and pull levers which really got the kids involved! The exhibitions help demonstrate what it was like going to school, being employed and queuing for food and life in general under Stasi surveillance and the Berlin Wall. There’s a living room so you can see what it was like to live in a Communist-style apartment building. I enjoyed our visit to the museum. It was a real opener to experience Communist living. Potsdam lies 1-hour from Alexander Platz by train for central Berlin.So technically not in Berlin but it still makes our 5 things not to miss in Berlin list. Potsdam is the capital and largest city of the German federal state of Brandenburg. Potsdam sits directly adjacent to the German capital Berlin and is part of the Berlin/Brandenburg Metropolitan Region. Potsdam is known for its Palaces, Castles, and landscapes. Potsdam is a UNESCO World Heritage Site that dates back over 1000 years. Potsdam was home to the Prussians Kings and Royalty until the start of the 20th century. Potsdam played a prominent part in World War 2 when the so-called Potsdam conference was held. It was a meeting between Winston Churchill, Harry.S.Truman and Joseph Stalin. One can visit the former KGB prison and headquarters that Russians controlled during WW2. These days people visit Potsdam to see its major sights such as Park Sanssouci, The New Garden (including the Pfingstberg and the Russian colony of Alxandrowka), Babelsberg Park and Sacrow Park to name a few. All four of these attractions are UNESCO sites. I must say the only regret was that we only had one day to explore this city. It was truly amazing on a grand scale for so many buildings and Palace’s to all be in the one spot. For all the things on our top 5 in Berlin Germany, this would be the one I would tell you to absolutely NOT miss. 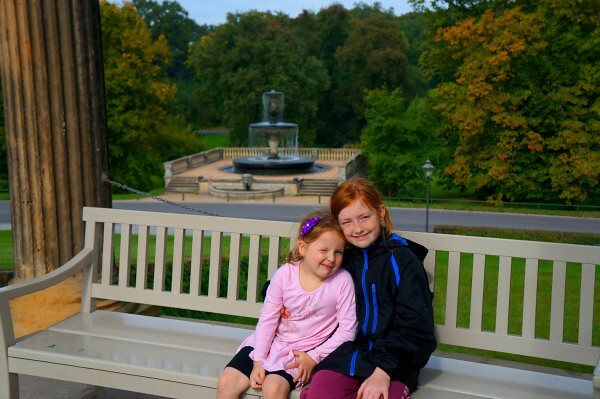 Family Travel Tip: We used the hop on hop off bus to see all the sights in the city of Potsdam. Most of the sights are not in short walking distances. We can tell you Potsdam sights are spread out so their is no chance of walking them all. Explore one of the most beautiful cities in Germany with a 1-day ticket to the hop-on and hop-off bus in Potsdam, capital of the state of Brandenburg. You can jump off at any of the 8 stops along the route, and with buses every 30 minutes (1 hour in winter) discover the shops and stylish alleyways surrounding Brandenburger Strasse and the famous Dutch Quarter. For the latest prices on this great tour click HERE. The Berlin Zoo is Germany’s oldest zoo opened in 1844. The Berlin Zoo has more than 17,000 animals. 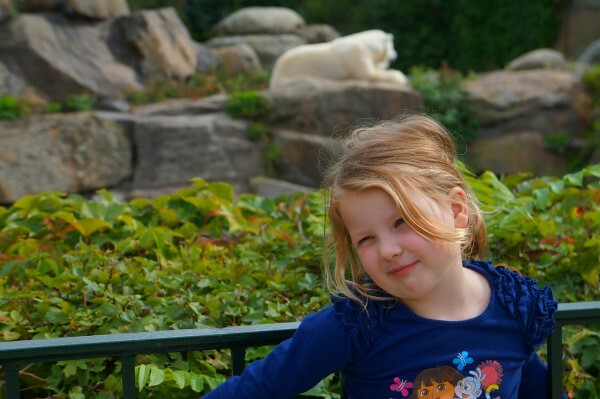 We loved the Berlin Zoo, I would go as far to say it is the best zoo we have visited around the world. The animal enclosures were spaciously set out to accommodate the animals. The animals were lively and easy to view. The petting zoo was amazing where you could feed Pygmy goats, sheep, donkeys and ponies. Some of the highlights of the zoo are the hippo observation tank where you can see the animals underwater. Penguin world, the free flight bird house and indoor monkey house where you can see staff feeding the babies. The zoo will take most of the day to visit to get most out of it. The zoo covers 35 acres in the centre of the city in the Tiergarten area. Guided tours and special up close and person experience are available for extra fees. The zoo has plenty of food and drink options which we found to be reasonably priced. All the major animals are on display including, Elephants, Giraffe’s, Bears, Kangaroos and much more. Access is via the Zoologischer Garten S-Bahn and U-Bahn. Family Travel Tip: Pushcarts for small children can be hired at the zoo. You can also visit the adjacent Aquarium for an extra entry fee that can be paid separately or a joint ticket for both can be purchased. The Brandenburg Gate is synonymous with Germany and Europe. The Brandenburg gate sits in the Western part of the city centre. The gate is the monumental entry to Unter den Linden. Unter din Linden is the Boulevard of linden trees. This Boulevard leads directly to the Royal Palace of the Prussian Monarchs and is currently being re-built. To stand in front of the Brandenburg Gate is amazing. So much history has happened in this area. Napoleon passed through the gate after his defeat of Prussia. The wall was here for the years of DDR government. Learn the secrets of one of the most defining stories of the 20th century as you explore Berlin locations closely tied to Hitler and the Third Reich. During the 4-hour walking tour, authoritative guides who have made this one of the world’s most highly regarded tours on the subject provide a fascinating commentary. The area around the gate was where the wall was first toppled in 1989 as the re-unification of the 2 German states began. Just one block away is the Reichstag German Parliament building. The Reichstag was opened in 1894 and used as a parliament building till it set on fire in the 1930’s. The building was unused for the next 30 years till the 1960’s when slight restorations to stabilise the building was completed. Full restoration would not happen until after the reunification of Germany. After the competition in 1999, the Reichstag resumed its position as the home of the German Parliment. Family Travel Tip: One can visit the beautiful blue dome that adorns the top of the Reichstag building. It provides an amazing view of Berlin. You must register online and bring your passport as a form of identification. Berlin is the capital and biggest city in Germany. Tegel is situated in a section of the northern borough of Reinickendorf, 8 km (5.0 mi) northwest of the city. Berlin Hauptbahnhof, and is where ICE regional, high-speed and international trains to Berlin now arrive. two major bus stations in Berlin: the central bus station at Funkturm, called ZOB Berlin, and the bus station at Berlin Ostbahnhof. Check your trains and bus and bus prices here. With a valid ticket, ticket holders have access to all public transport in Berlin: S-Bahn, U-Bahn, buses, trams and ferries. Berlin is divided into three tariff zones: AB, BC and ABC. Tariff zone AB includes the urban area to the city boundary. Zone ABC additionally includes Berlin’s surrounding area and Potsdam Hauptbahnhof. A short distance ticket (Kurzstrecke) costs 1.70 Euros, reduced 1.30 Euros and is valid for three stops with S- and U-Bahn. Small children up to the age of five travel without charge when accompanied. Children from 6 to 14 years can use the reduced tariff, which costs 1.70 Euros for zone AB. The popular Berlin Hop on hop off bus is a great option for tourists wanting to see the main sights of Berlin. This tourist bus has 2 different routes that travel the sights of the city on a loop basis. For more information Look here! Berlin has accommodation options for every budget from Hostels, to apartments and hotels rooms. Hostels in Berlin can start from as little as 15 euro’s a night for a shared dorm room. Hotels in Berlin generally start from around $105 a night for a double room and increase incrementally as the luxury rating rises towards 5 stars. Google states that 3-star averaging $144, 5-star averaging $234 for a night stay. I agre with you, visiting Berlin for the first time is like scratching the surface. There is always something going on and so much to explore. I think it’s great you included Potsdam and Sanssouci. Have you been to Tempelhof, the former airport now park, as well? It is a nice place to hang out, especially for kids. i love all the family tips in between your what to see list, especially when it comes to using transportation and that you’re not within walking distance. I love zoos, especially well established ones like this one. I can’t wait to go back to Berlin and check some of these out – I was only there for a few days and didn’t see enough! Oooh, I am going to Berlin in 2 weeks, for the first time. Nice to see some suggestions. Great tips! Berlin seems like an amazing place. The palace’s are amazing and it sounds like you can lose a whole day a the zoo! It’s been a while since I was in Berlin. I must check out the Berlin Zoo. Looks very interesting. And, 17,000 animals. Sounds like an educational experience for everyone – kids and adults. Great tips! Although Berlin isn’t really on my top places to visit, I’m sure after I’ve gone through my list I’ll definitely try and see these for myself. I’ve only transited through Berlin in what was a very frustrating airport experience. But, I’m sure getting out to explore the city would be much more pleasant. 😉 The DDR Museum looks like a great first-hand learning experience. How much more impactful it is to learn what it was like living in East Germany by exploring objects and other primary sources, rather than simply hearing about it in a classroom. Wow, that tiger photo is vivid! I have only been to Berlin once when I was younger and honestly spent most of the time partying. I need to go back and revisit some of these destinations! So frustrating to have only one day in such a great city but you saw so much and the pictures have me wanting to visit more than ever. I hope to have as good weather as you had.